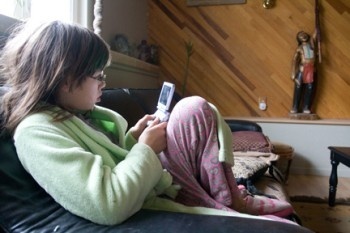 A "videogame summer camp" in British Columbia has come under fire for encouraging a generation of little fatbodies to spend even more time parked in front of their glowing video screens. The University of British Columbia is offering a number of summer camp programs this year: Speed and Power Development, Outdoor Adventure Camps, Junior Leadership Camp and even a camp for kids who hate camps: "The Arcade Bunker," a videogame-focused program that will let kids play "Nintendo Wii, Playstation, Ping Pong, Foosball, computer games, board games and cards," all for about 140 bucks a week. This is actually the second year of operation for the videogame camp and manager Kyle Cupido said last year's offering worked out well for kids who weren't a "good fit" for other programs. "Some kids aren't athletic, aren't artistic. This gives them a chance to meet new friends," he said. But not everyone sees it in such a generous light. Pointing to growing levels of childhood obesity, Professor Heather Mckay of UBC's Department of Medicine said, "It seems to be going in exactly the wrong direction we want children to be going in the summer months, where they should be engaged in unstructured play, and should be outside and be doing what children of every age should be doing." Active Healthy Kids Canada CEO Michelle Brownrigg echoed Mckay's concern, noting that a recent report put together by her agency found that kids spend an average of six hours a day in front of various kinds of video screens and that only 12 percent get enough exercise. "We already have a society that is spending an excessive amount of time in front of screens... both adults and kids," she said. I'm a gamer through and through but I have to come down on the side of Mckay and Brownrigg on this one. Young kids should be outside, running around, getting dirty and hurting themselves, not spending their summer days sitting around getting paler and flabbier. I'm not a huge fan of organized summer camps of any kind - I'm all about the "unstructured play" - but if you're going to do it, do it outside. Who knows? It might even do those unartistic, unathletic kids some good.